Kellie & Jeff Whiteside, both accomplished dog trainers and licensed CGN evaluators, utilize the facilities of the Elmvale Veterinary Hospital to teach their classes. Herdabout K9 Academy is run exclusively by professional and accomplished trainers Jeff & Kellie Whiteside. We are not associated with any other trainers, training facilities, or training systems. We do not endorse or support any other trainers, or training schools in our area. All classes and private lessons are taught solely by Jeff and Kellie Whiteside. We have no other staff and we have no representatives that speak for us on our behalf. 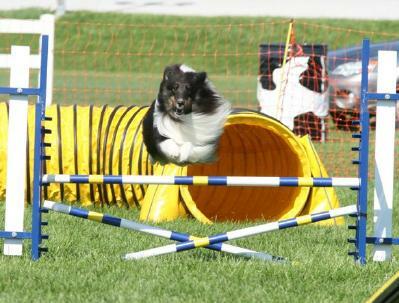 We are available directly to answer any questions or concerns about dog training and our classes. If you are not communicating directly with either Jeff or Kellie Whiteside, then you are not communicating with Herdabout K9 Academy. We are an all breed facility! All dogs are welcome as long as they meet our Safety Rules. Please view our About Us page to find out more. Herdabout K-9 Academy is centrally located in Simcoe County / Southern Georgian Bay. Look for our address, map and contact information on Our Location page. Please be sure to read the Safety Rules for all classes. 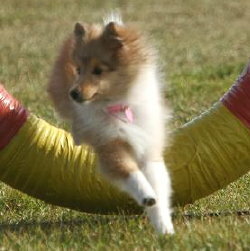 Private One-On-One Training Sessions are always available in Obedience, Agility and Behavioural Issues. Please call to discuss your needs.